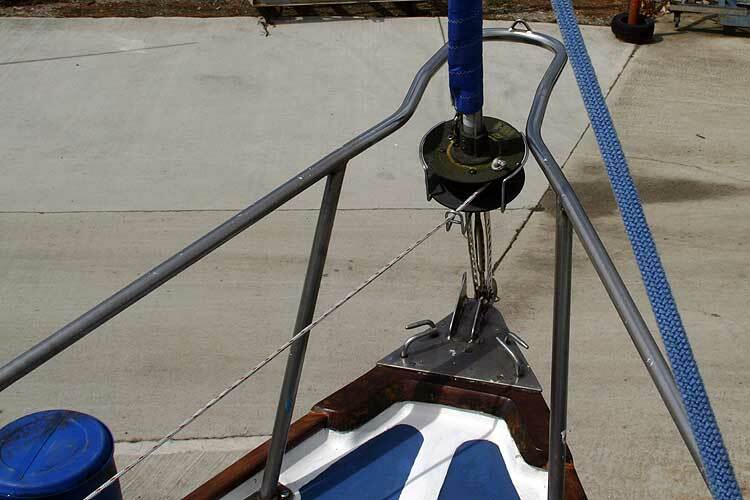 Following a survey by North wales Marine consultants, new hand rails and a new forestay were fitted. 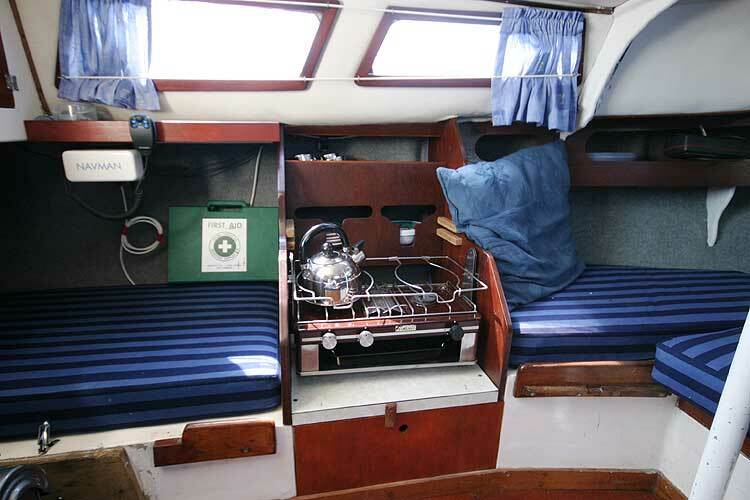 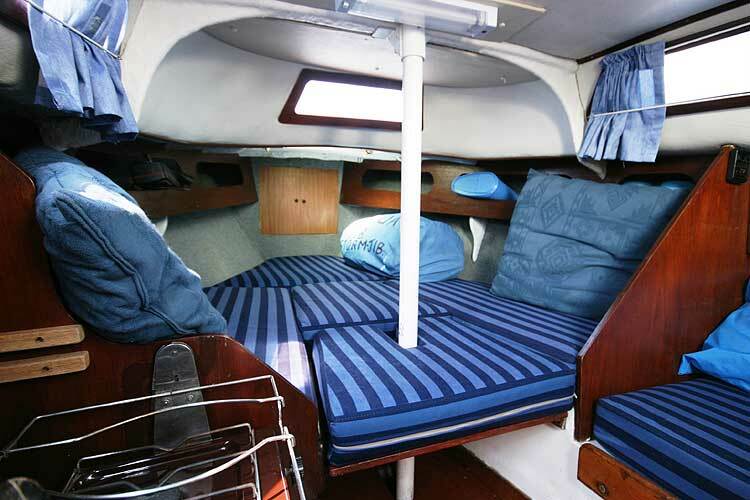 In 2006 the saloon was re upholstered. 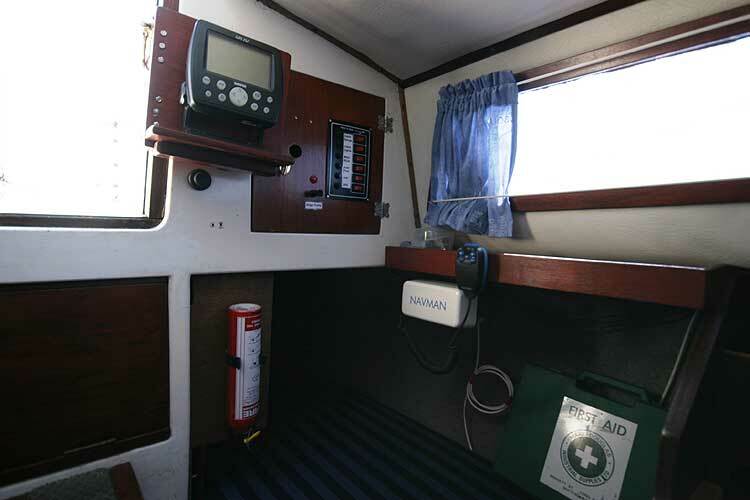 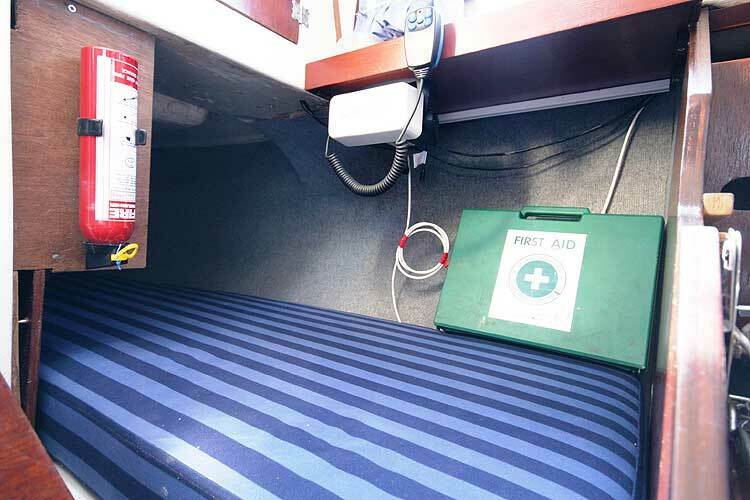 In addition to the new Garmin 152, in 2007 a new Navman 7000 vhf radio was fitted. 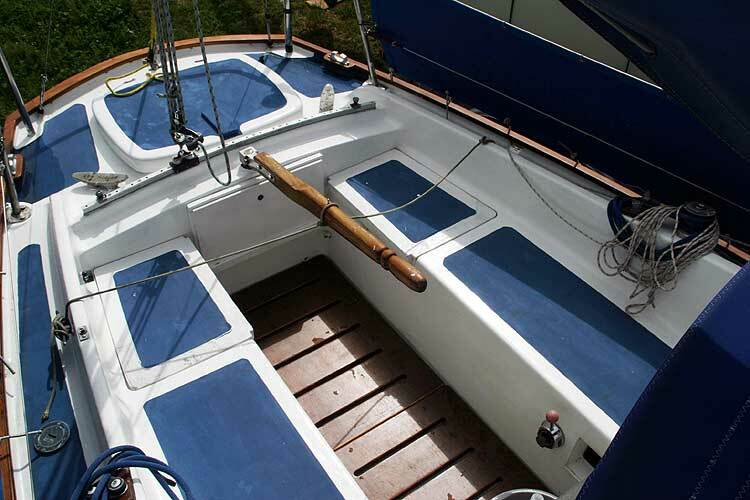 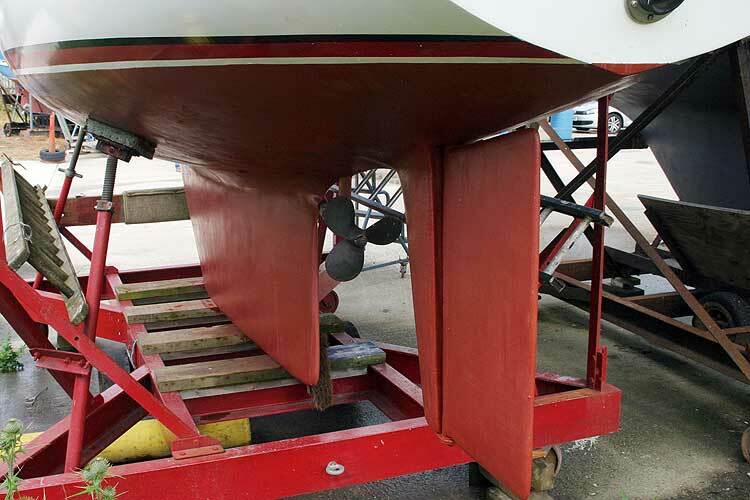 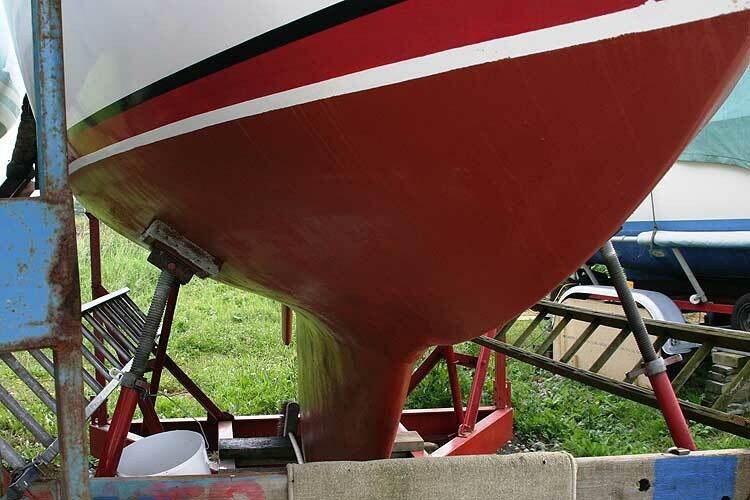 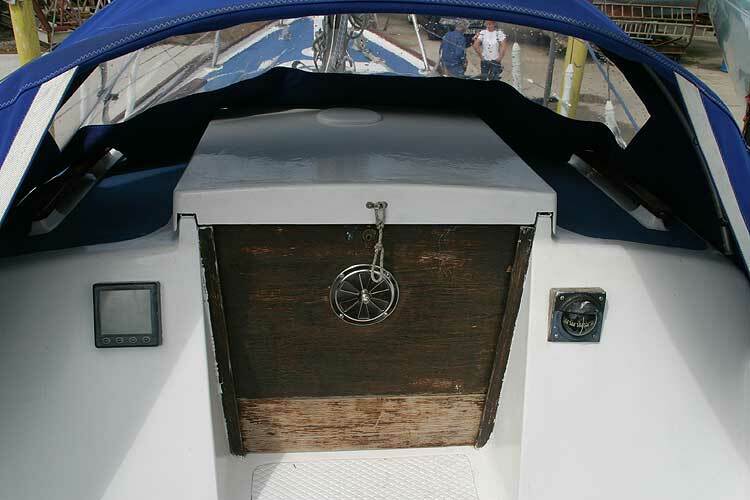 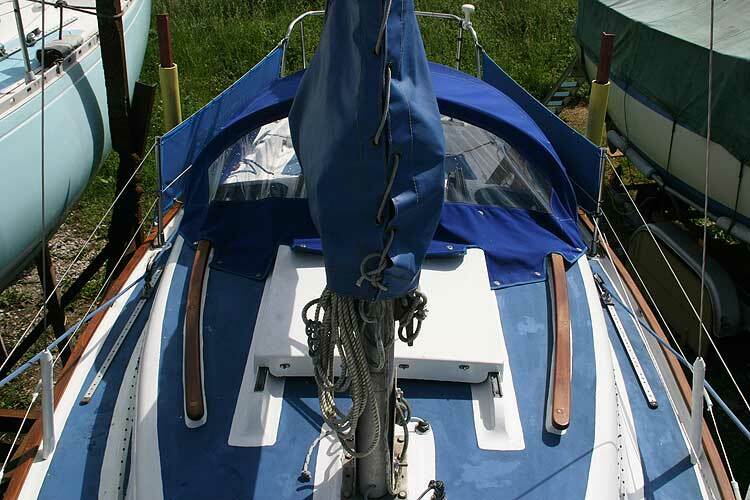 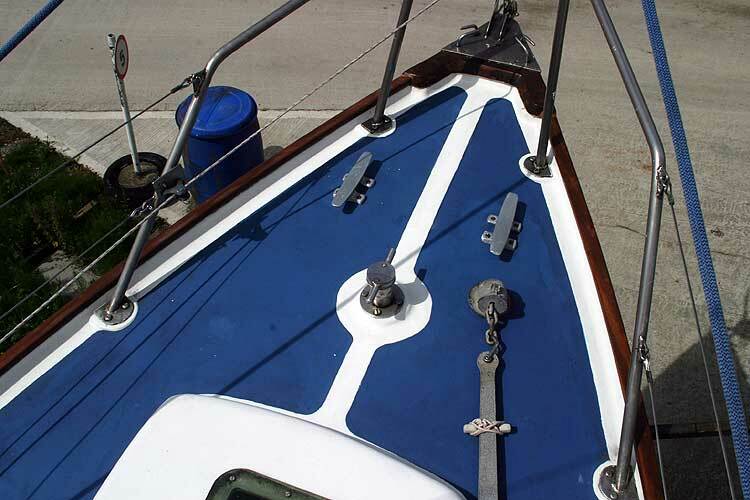 In 2009 the original treadmaster deck covering was stripped off and replaced with non slip paint. 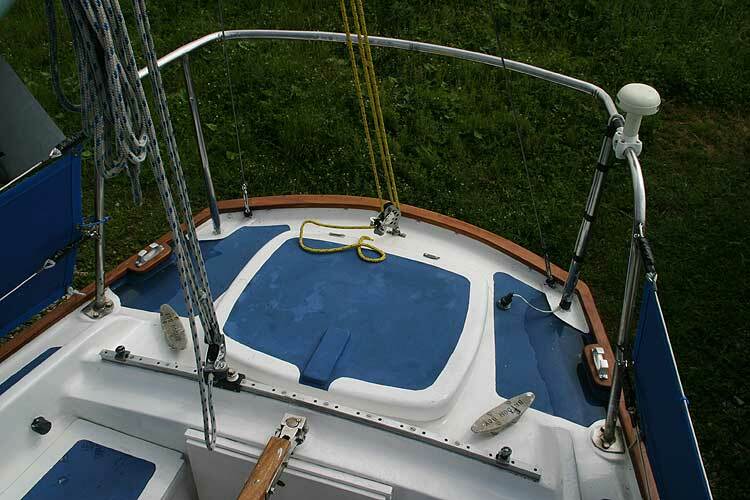 At the same time some deck fittings were replaced and new lower back stays fitted, some bottle screws were also replaced. 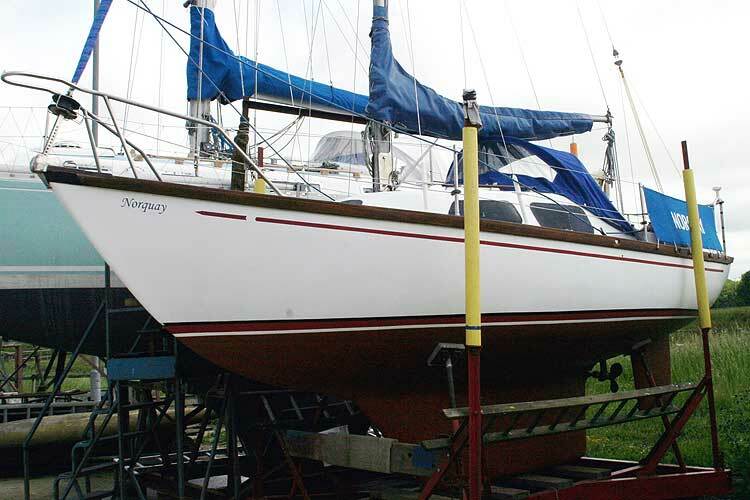 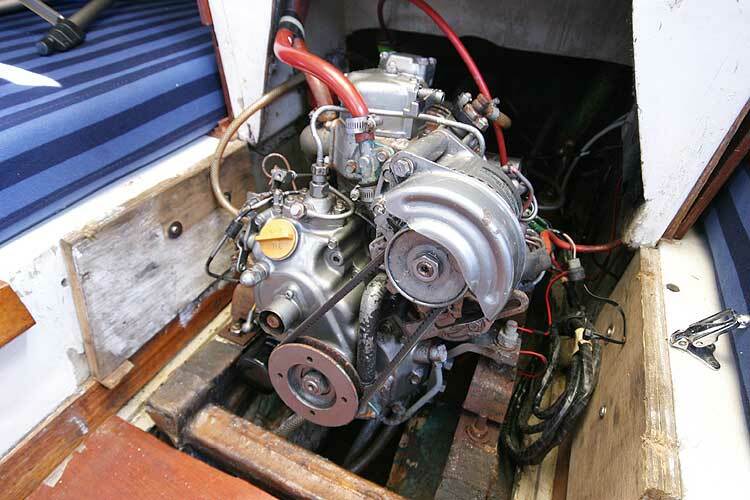 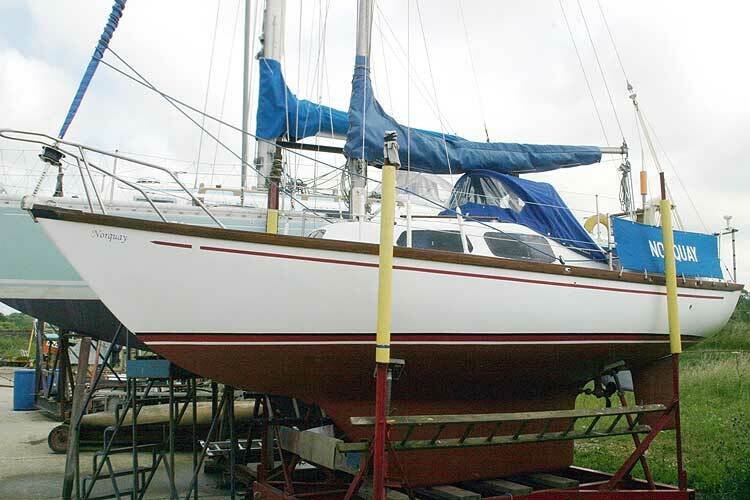 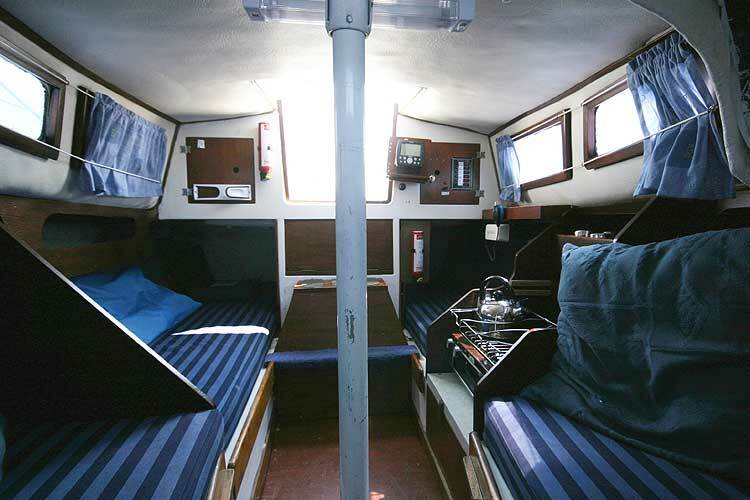 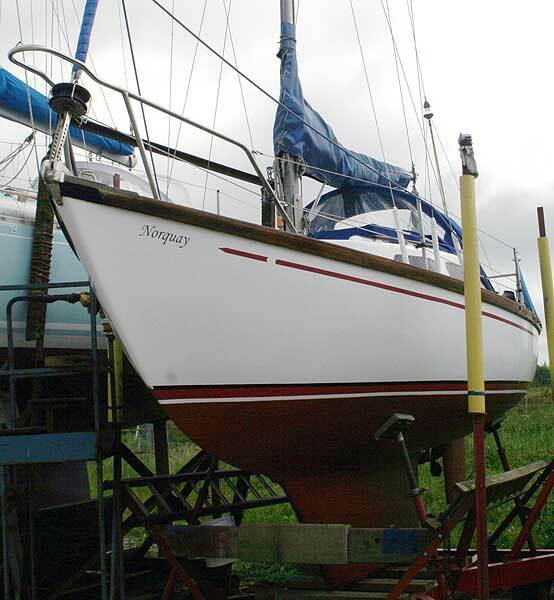 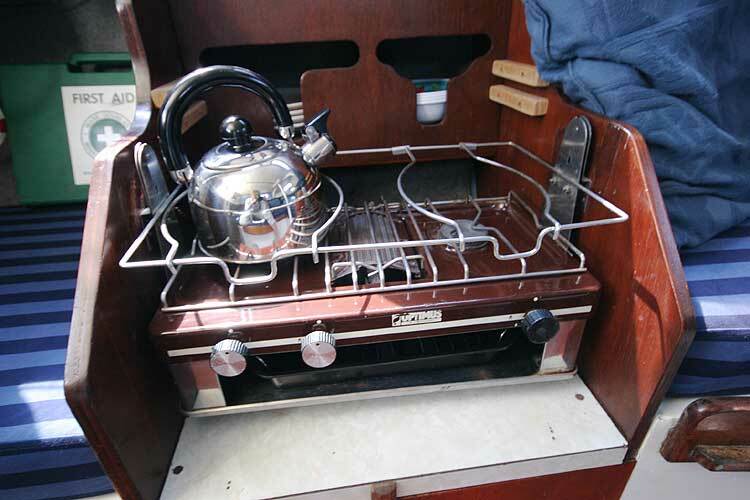 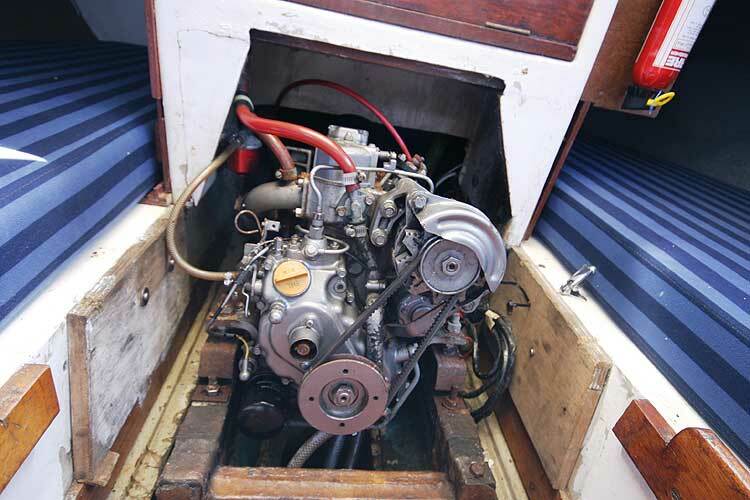 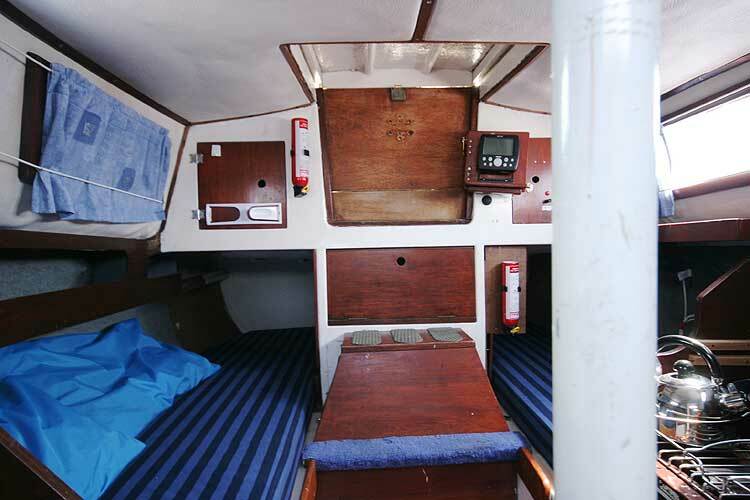 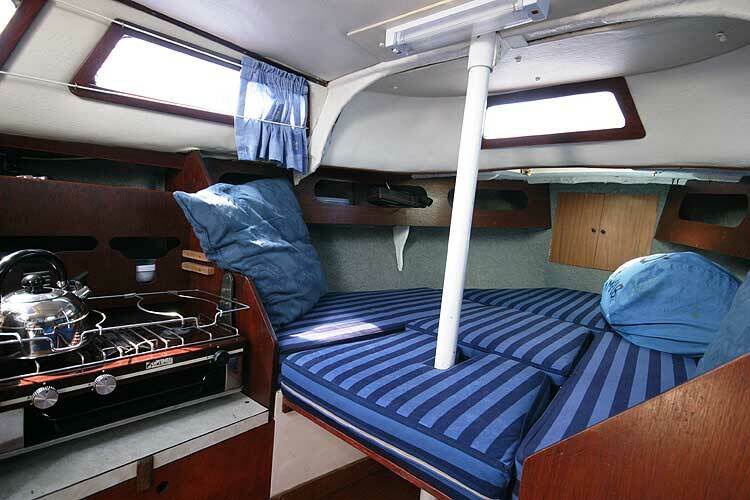 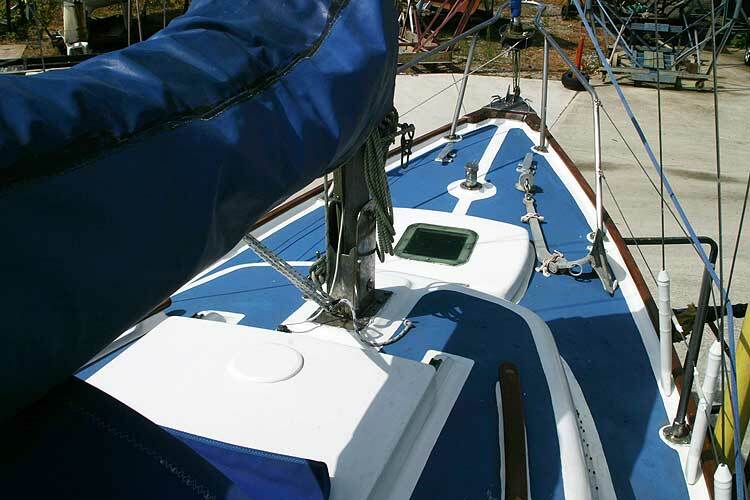 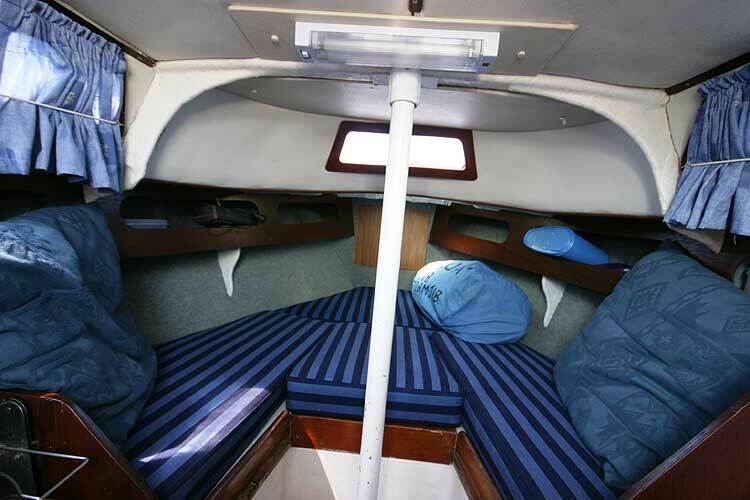 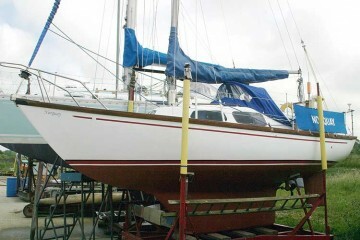 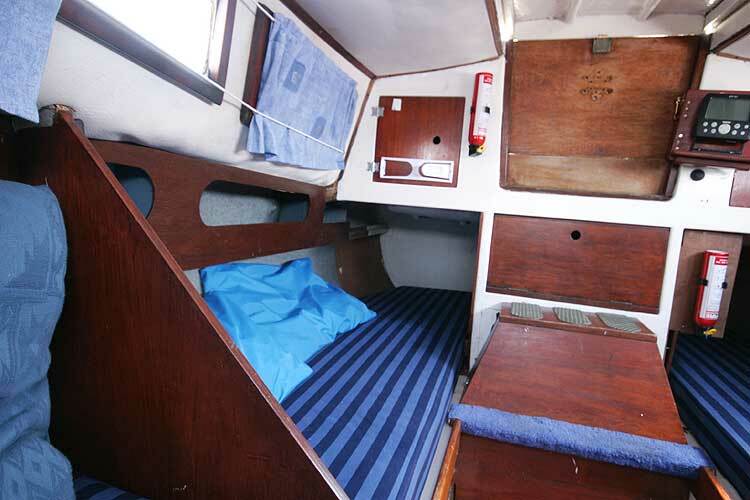 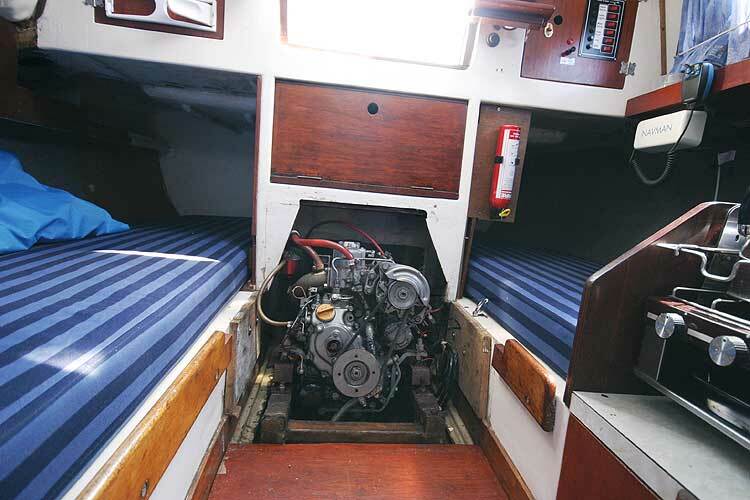 a new UV strip was fitted to the genoa, and the dodgers were also replced. 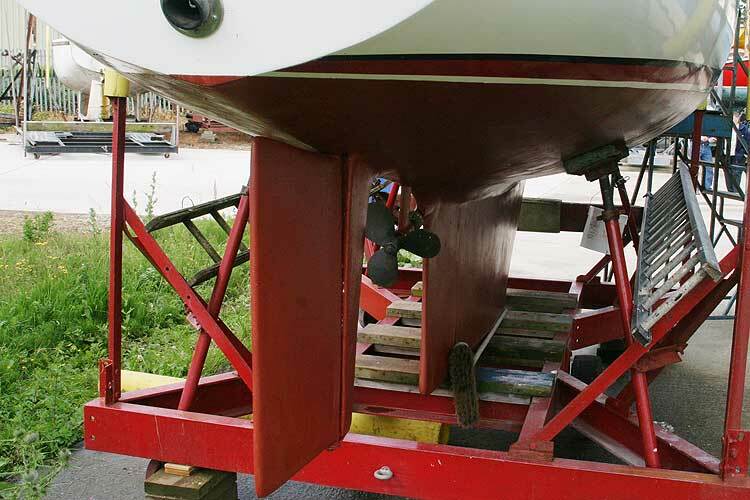 The hull has been epoxied in May 2012. 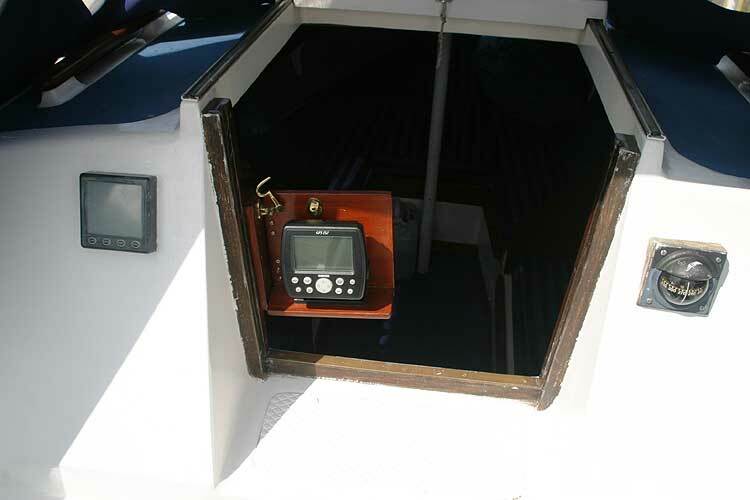 Vhf radio, depth sounder and gps . 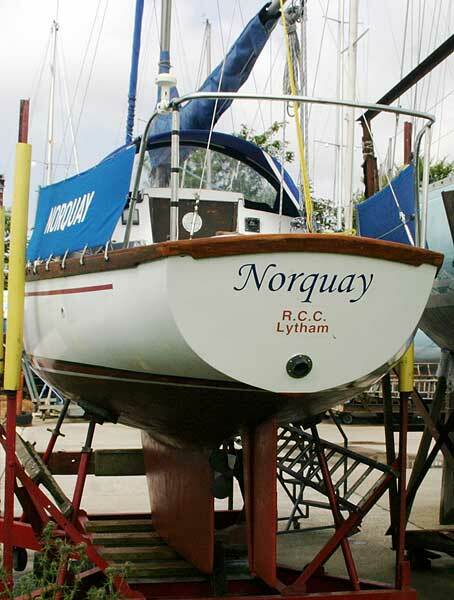 This boat is no longer for sale and remains here solely as an information resource for those researching Hurley 22's.